Possibility to spend the night at Rio de Janeiro Galeão Airport (GIG), if open 24 hours. Services available, places to rest (free resting zones), or look for the list of nearby hotels and vip lounges.. Although, as detailed in our site, there are accommodation alternatives directly connected to the terminals or in the vicinity, not all passengers are willing to pay for one night when they are waiting for a connecting flight or when their flight leaves early in the morning. Luggage: On the ground floor of Terminal 2 there is a left luggage service that operates 24 hours a day. Eating and drinking: The airport offers a few cafés and bars that open around the clock, in addition to vending machines. Restrooms: Public toilets do not have showers. 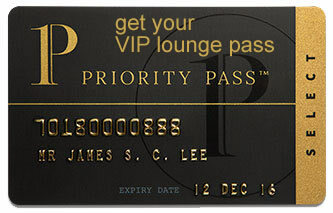 These are only available inside the VIP lounges. Wi-Fi: Free access for 60 minutes. Other services available around the clock: Currency exchange bureaus, ATMs, pharmacy, baby changing facilities, children's play areas. The Aerotel (Tel +55 21 3398 4132) is located on the third floor of Terminal 2, while the Rio Aeroporto Hotel (Tel +55 21 3383 9800) is found on the second level of Terminal 1. On the other hand, the Linx Hotel International Airport Galeão (Tel +55 21 2468 3400) is found next to Terminal 1. Other options in the surroundings are: Hangar Rio Hostel (Tel +55 21 3256 9222), Pousada Guanabara Garden (Tel +55 21 3253 2760), Hotel Joalo's (Tel +55 21 2466 1515), Pousada Gaivota Livre (Tel +55 21 996 341 477), Hostel Praia da Bandeira (Tel +55 21 983 226 334), Pousada dos Pássaros Q2 (Tel +55 62 982 825 888), Hotel Palmeiras (Tel +55 21 2771 3861).